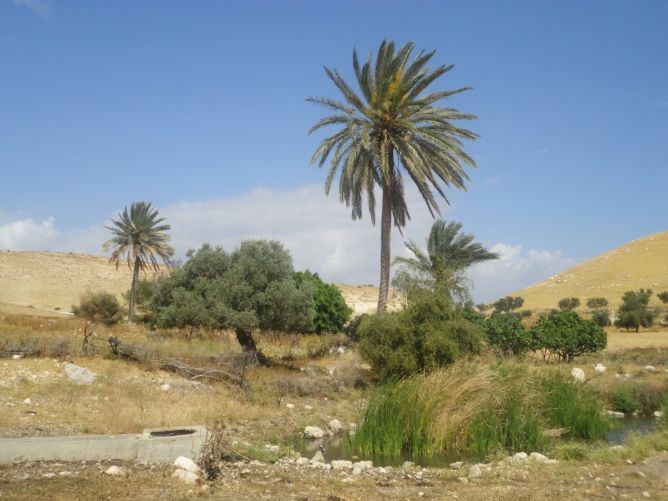 More and more, people in the West Bank suffer from the decreasing availability of agricultural land. Population growth lead to higher urbanization and higher food demand. 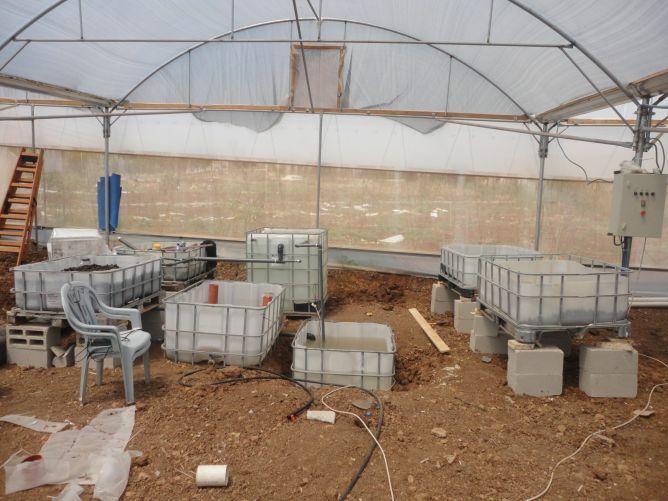 In this setting, the combination of fish and vegetable production (aquaponics) on a small area is a promising technique. 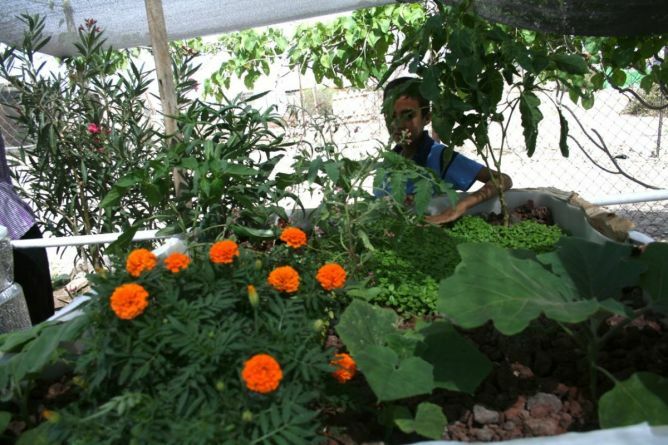 But Aquaponic does not only allow a diverse and sustainable production of food. 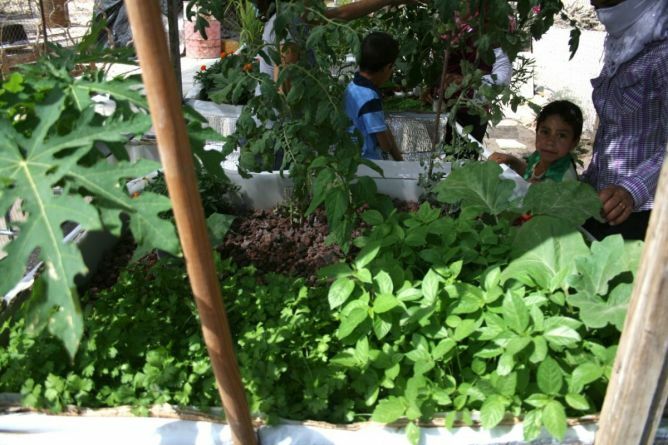 It is further water-efficient, not depending on synthetic fertilizer and it helps decreasing the dependence on foreign countries. 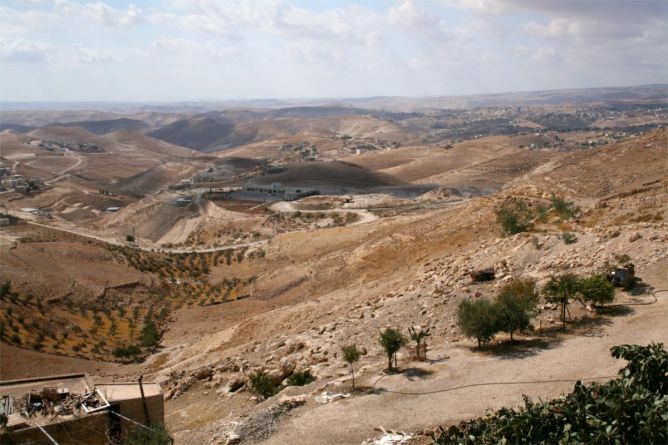 Therefore an ideal system to offer new visions for the people in the West Bank. The concept is easy to understand: Water from a fishtank, enriched with feces, is channeled to a growing bed. 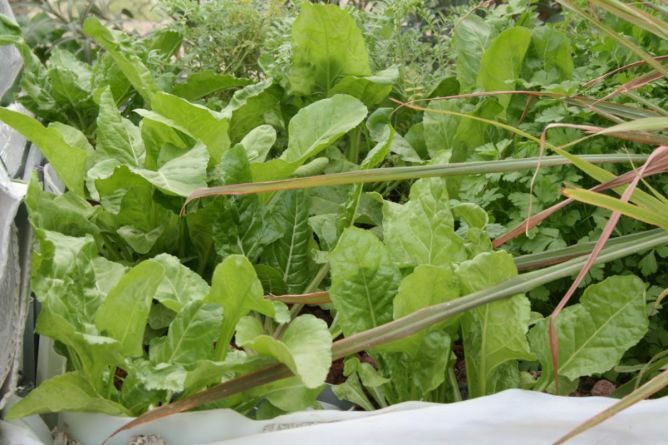 The nutrients in the feces are taken up by the plants as fertilizer. The cleaned water is then channeled back to the fish. 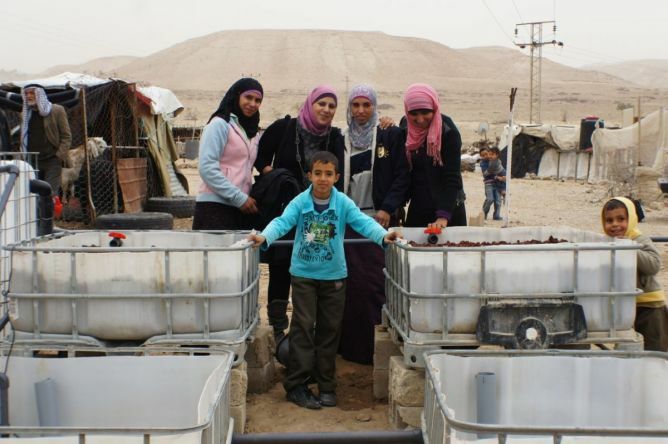 Beside small amounts of water and electricity, fish food is the only input needed. Nowadays it usually contains fish meal as a source of protein. This fish meal can be derived from wastes occurring from processing fish. But due to an increasing demand, a branch of deep-sea fishery specialized only on catching fish to produce fish meal. This means that fish only gets caught to produce protein-rich feed. That way, fish farming contributes to overfishing. 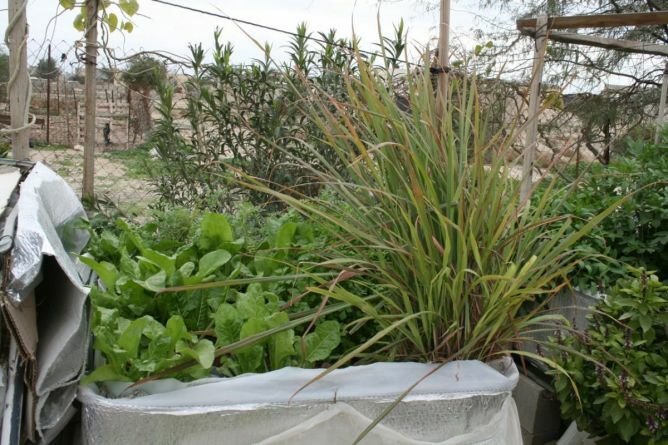 By using insect larvae, fed on compost or manure, fishmeal could be replaced. 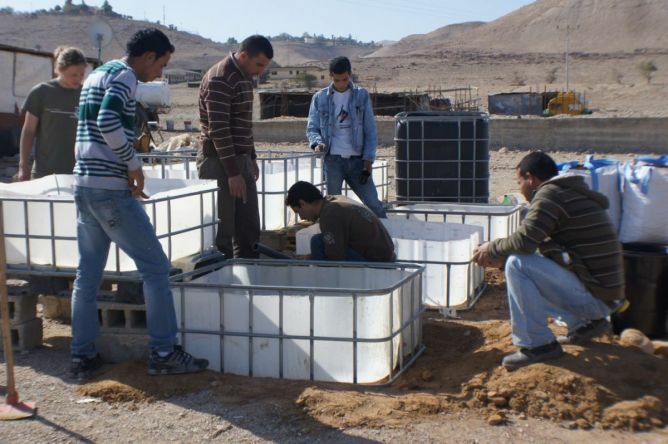 At Bethlehem university we want to build three systems, consisting of four tanks each (see graph). 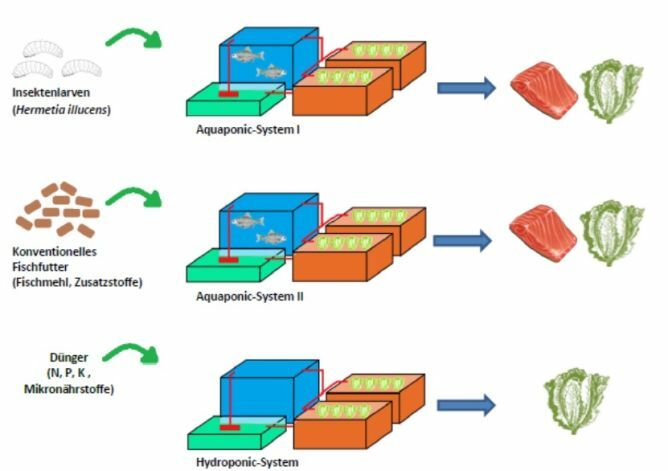 Two systems used as aquaponics will be equipped with fish, distinguished by the use of different fodder types. Conventional fish food containing fish meal as well as feed based on larvae of the soldier fly will be used. 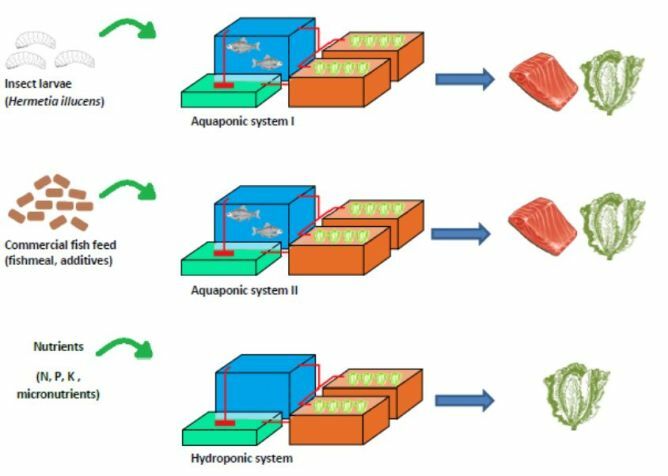 The third system without fish but with fertilizer will serve as a control. 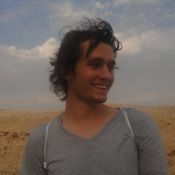 Within the framework of a master thesis different parameters will be measured. Comparing biomass, nutrients in the vegetables and costs of the different systems will help us understand small-scale aquaponic systems. 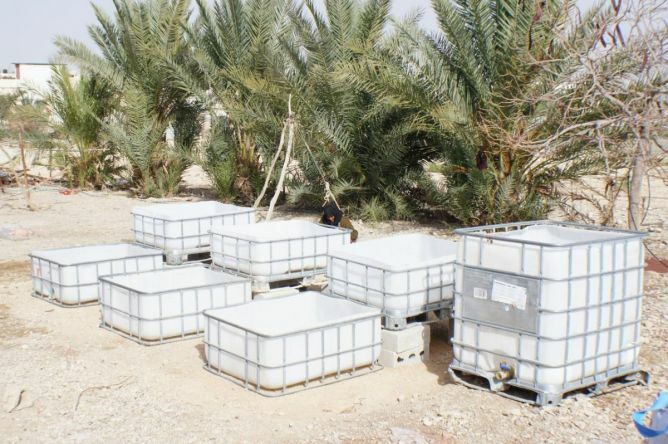 By investigating a relatively new approach of using insect larvae as feed we want to demonstrate this sustainable way to the people in this region. Materials for the three systems as well as fish and fish food will cost us CHF 4’000. Further expenses are incurred for consulting and maintenance. The Bethlehem university contributes also to the costs which will increase their interest to continue research on this system. 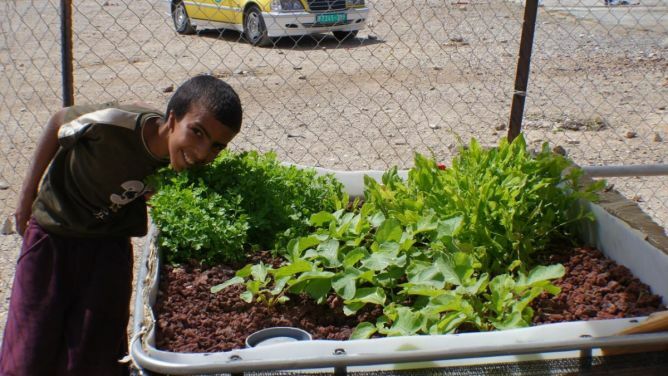 If we collect CHF 3’000 through crowdfunding, we are ready to launch our project «aquaponics in the West Bank». 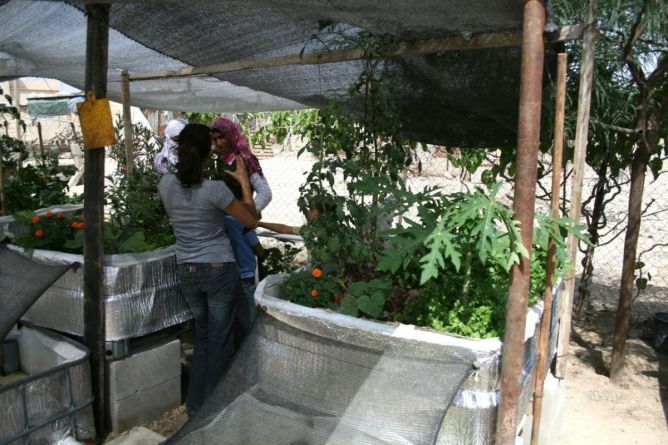 And if we reach a bigger amount we may even be able to organize information events and help build aquaponic systems in the community.